This section contains all the links for all the sections of this site. MetOffice Snowdonia provides the daily detailed mountain weather forecast for Snowdonia, and it is free! MWIS provide a detailed forecast for the mountains. They are usually fairly accurate. Yr.no is a relatively new service providing a good detailed forecast, and local webcam images. Above and Beyond is an independent outdoor retailer who won TGO magazine's Online retailer of the year in 2013. They offer a 35% discount on OS maps, and free UK delivery. They also sell a range of walking and hiking gear. Ogwen Valley Mountain Rescue Organization. A source of reference on the work of the team and incidents in the area. Includes webcams and a weather station. You can also sign up for your own sponsorship page, allowing you to raise money for the team. Llanberis Mountain Rescue cover the Snowdon area and have recently redesigned their site with lots of up to date information. North East Wales Search and Rescue cover the area around Wrexham and Moel Famau. Aberglaslyn MRT cover the rock climbing area of Tremadog and Eifionydd. They are currently raising funds for their new base. Please visit the site and support them. Plas y Brenin: The National Outdoor Center provide a large number of courses covering everything from walking and navigation to climbing, and from first aid courses to canoeing and skiing. Nature's Work provide educational courses and training events to promote outdoor learning. Courses are aimed at individuals, students, teachers and businesses wanting to learn about nature, wildlife and conservation. Nature's Work also offers first aid and navigation training, in addition to guided mountain walks. Snowdon Walks is a good site that is dedicated to walking in the mountains of Snowdonia, but focusing on the Snowdon range. It has a thriving Facebook page. Welsh 3000s: A very informative site containing lots of information to help you complete this challenge. Hikideas has a useful walk planner allowing you to create your routes on a OS map for free. Distances and height gain are calculated, and you can export your route to a GPS unit. The site also contains a number of good walks. Wilderness Wales: The personal homepage of Paul Saunders. Contains pictures of Welsh Mountains. v-g Walking and backpacking is an excellent site which contains lots of information on walks in the England and Wales. There is a good selection of photos with each walk as well as a sketch map and a brief outline of what was done on each day. There are also sections on gear and mountain lists. Dennis and Jackie's Walking Site: This site contains good information on various Alpine regions which have been visited by Dennis and Jackie. Well worth a visit if you are considering a trip abroad. High Trek Snowdonia: Run long weekend courses and breaks in walking, climbing, navigation, mountain adventure, winter skills etc. A site well worth visiting. Anthony Dyer has a good site with several routes in Snowdonia and the Lake District. Good photos with excellent use of Multimap. Menai Holiday Cottages have a good selection of holiday cottages in Snowdonia, many are dog-friendly and have walks from the door. Book Cottages has a wide range of cottages in the area which are available to rent. Ty Mawr B&B and Tea room is a bed and breakfast situated in Rhyd Ddu, so are ideal for a walk up Snowdon. Bryn Bella is a comfortable and eco-friendly bed and breakfast situated in Betws-y-Coed, the gateway to Snowdonia. Snowdon Cottage provides self catering accommodation. 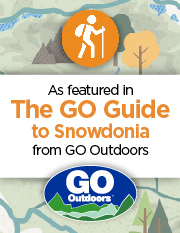 They are based in Rhyd Ddu, so are ideal for a walk up Snowdon or the Nantlle Ridge. Trigonos provide accommodation for groups and individuals near Nantlle. They also act as a venue for conferences and workshops. O.T. 's Loft is a newly refurbished cottage in Capel Curig which is available to rent. Stay Snowdonia have a variety of accommodation in the local area, including B&Bs, farmhouses and holiday cottages. The Snowdon Sherpa bus timetable made available by Gwynedd Council. The bus is a convenient way to get around if your walk does not start and finish in the same location. Do be aware that the buses do not always run particularly late in to the evening. tacsi CK cabs is a 7 passenger taxi service that has a number of pick up locations that may be ideal for walks where you start and finish in different locations. The Snowdon Mountain Railway has been welcoming visitors since 1896 to the little village at the foot of Snowdon, Llanberis in the heart of the Snowdonia National Park, to experience the awe inspiring journey by rack railway to the summit of Snowdon. Weather permitting trains will run every day from 15th March - 2nd November to a number of stations. Beacon Climbing: The Beacon Climbing Center based between Llanberis and Waun Fawr have a large selection of challenging lead routes, top roping, bouldering and an ice simulation. They will soon be moving to bigger and better premesis in Caernarfon. Planet Fear is a great site for all things climbing, from videos and photos to an on-line shop. UK Climbing Forums are a place where all things climbing can be discussed. BMC: The homepage of the British Mountaineering Council. Click here for all sorts of useful information. Petes Eats: Based in Llanberis this is the cafe for climbers and walkers. Large portions and a friendly atmosphere. Snowdonia Running Guides is a business set up by runners for runners offering mountain walking and running holidays.